The Flight Attendant – Look for the beautiful new paperback, on sale now! 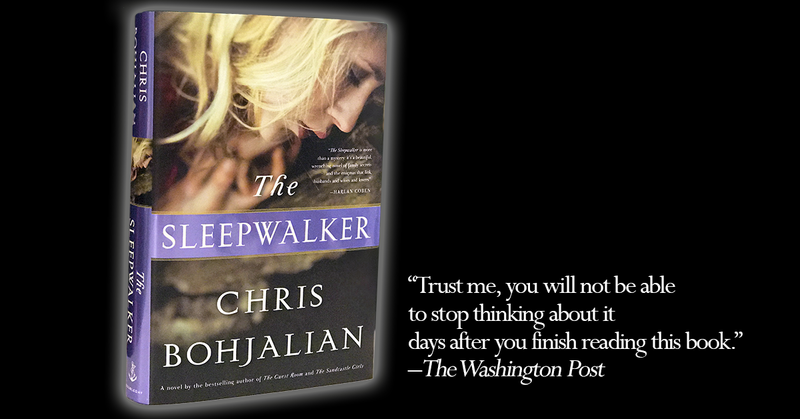 The Sleepwalker – Now On Sale! A memory: It is a Saturday night in 1975, and I am at a birthday party in a classmate’s apartment. The rooms are filled with fellow sixth-graders from Northeast Elementary School in Stamford, Conn. There are, in my recollection, about two dozen of us, girls as well as boys, and we are eating cake and listening to the Jackson 5. Instantly I get it. I understand why my mother is smiling like she has just won the lottery. She thinks I was the only white kid at a party filled with African-Americans and she has just glimpsed the future: A world where the color of one’s skin is as immaterial as the color of one’s hair. In her mind, she has just witnessed Martin Luther King’s “I Have a Dream” speech from 1963 move from profound oration to practical demonstration. The truth — and this moment of hope seemed so important to my mother that I never corrected her — was that I was actually one of two white kids at the party. Scott Elder was there, too. That classmate of mine who had answered the door had most likely meant, “Are you Scott’s mom or Chris’?” But my mother didn’t know that then, and she didn’t know it when she died two decades later. She told the story often in those intervening years, and it was her way of reassuring herself that the next generation — her children’s generation — was brilliantly, blithely colorblind. My generation, in her mind, was the first on this continent to be neither scarred nor crippled nor made hard-hearted by what some Americans once referred to euphemistically as the peculiar institution. In her vision, my generation would celebrate race and never allow it to become divisive. The truth is, we had a long way to go in 1975. We have a long way to go still. But of all the historical sights my mother missed by dying when she did, of all the things I wish she had gotten to see, my sense is that none of would have lifted her spirits more than the inauguration this coming Tuesday. The fact it occurs the very same week when we celebrate the life of Dr. King reinforces the historical significance. Indeed. The ascension of Barack Obama to president is both a barometer of where we are as a nation and a signal to the world of how far we have come. As a country, we have proved to ourselves that we are better than the prejudice, the pettiness and the fear that have disgraced our national soul since our inception. It was Puritan worthy John Winthrop who first said that we should be as a city upon a hill, and my sense is that whether we agree or disagree with a specific policy over the next four years, whenever we watch President Obama speak from a dais or a desk, that beacon will be brighter than it has been in a very long time. Why? Because the promise of this great nation is a little more real. The words in our most revered secular texts are no longer hollow. And a small child can see that the color of a person’s skin will never again pose a ceiling to hope. We are still far from perfect. We are still a work in progress. But my mother’s faith was not wholly unfounded. Today we are no longer hypocrites. This entry was posted in Good Reads. Bookmark the permalink. 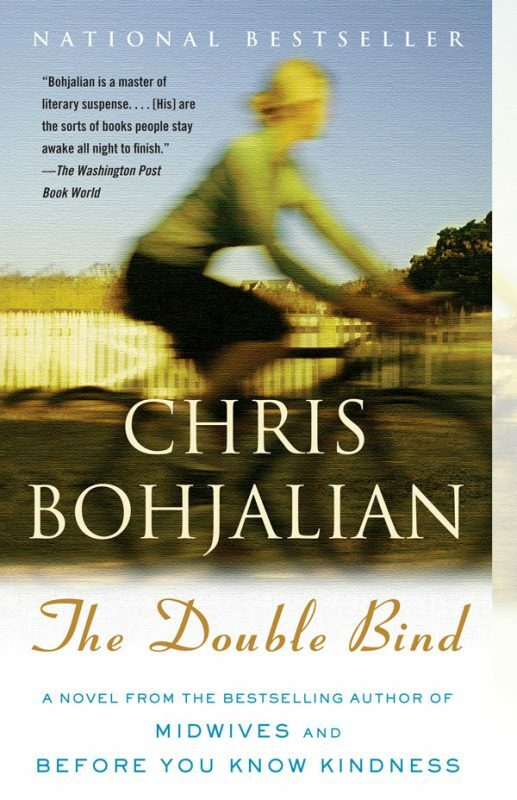 Chris Bohjalian is the author of nineteen books, including his forthcoming novel, The Sleepwalker. His other novels include the New York Times bestsellers Midwives, The Sandcastle Girls, The Guest Room, and The Double Bind. Dollars and sense: What do we value in 2009? Ties that bind? Think Super Bowl Sunday. You tell the best stories. What vision for the future your mother had. I believe also, that some day all people will be colorblind. We after all, are ALL created equal. The Flight Attendant Has Landed! Hal Jackson on The Flight Attendant Has Landed! 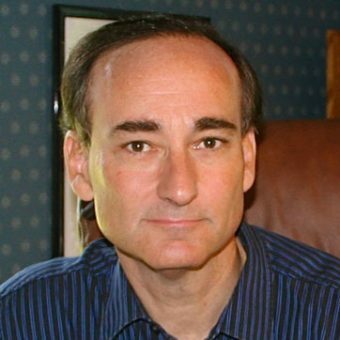 Chris Bohjalian on The Flight Attendant Has Landed! Jerry Everett on The Flight Attendant Has Landed! Decide which cookies you want to allow. You can change these settings at any time. However, be aware that disabling the Essentials and Functionality Cookies may render some functions o the website to become unavailable. For information on deleting the cookies, please consult your browser’s help function. Learn more about the cookies we use. Please follow Chris for the latest updates. 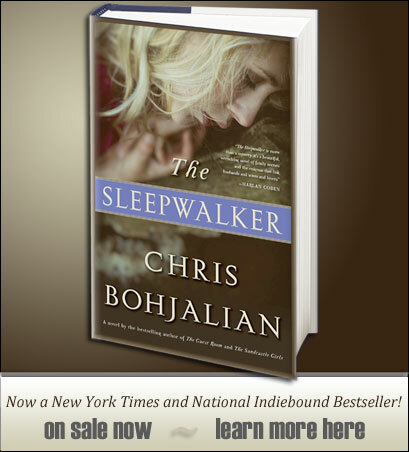 Now a New York Times and National Indiebound Bestseller!